​ ​Have you made plans yet for your romantic outing in Austin? Valentine's Day is coming up fast this Thursday, so don't forget to show your special someone how much you care. And Austin the ideal place for a romantic evening. Don't have a date for Valentine's Day? Le Politique will celebrate Galentine’s Day during lunch + dinner on February 13th. Groups of ladies are welcome to make a reservation to celebrate one another. You'll get two complimentary heart-shaped macarons as well. Reservations can be made at https://lepolitiqueaustin.com/reservations. Central Standard’s is featuring a special Valentine’s Day menu including truffled mashed potatoes, grilled broccolini with braised cippollini onions, porcini mushrooms and wagyu ribeye for sharing. Reservations can be made at https://centralstandardaustin.com/reservations. La Condesa will feature their A La Carte Dinner special which will be available 2/14 to 2/16. The menu includes Huachinango ($17); Tamal de Pato ($19); Pescado Asado ($39); NY Strip ($45); and Pan y Chocolate ($10). The Uncle Billy’s winter seasonal beer, Shokolad Chocolate Imperial Stout, is back for its third season just in time for Valentine’s Day. To celebrate Valentine’s Day, Uncle Billy’s will have a series of sweet pairings during the week of February 11. They will close out the sweet week with two Shokolad Firkins released on Friday, Feb. 15 with an aged cask of Shokolad and a cask of Shokolad infused with chili peppers. Element at the Aloft Hotel, will feature a Galentine’s Day special with two buckets of Infinite Monkey Wine in room upon arrival, $250 dining and drinking credit at onsite restaurants & bar, four packages containing robes, slippers, face masks, nail polish and chocolates. Available 2/8-2/18. The Indulgence Package features a sweet treat by Chef Jessica and a bottle of champagne waiting in room upon arrival. 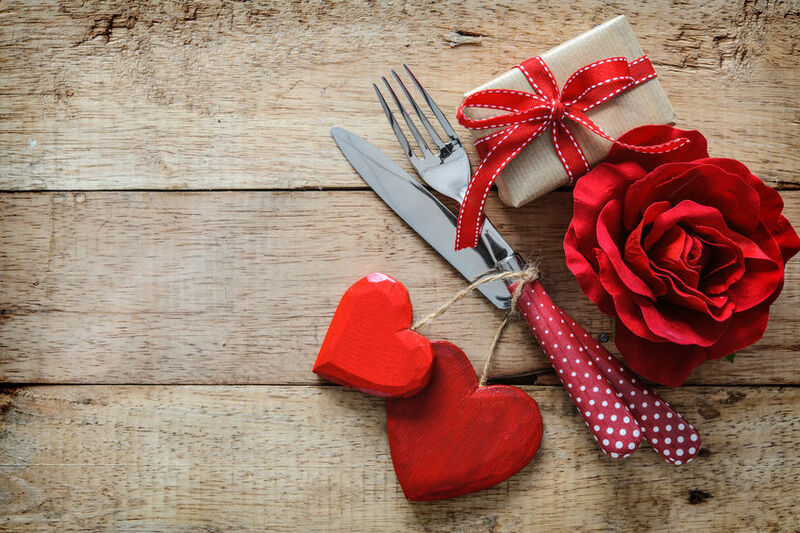 Caroline’s Valentine’s Day menu specials include Smoked Beef Tataki – $16; Lobster Dinner- $38; and Red Hot Cinnamon Cheesecake – $9. There’s also a featured cocktail – Love Potion No. 9 – $9. Caroline is located in the Aloft Hotel downtown. Have a happy and romantic Valentine's Day in Austin! If you're looking for something special to do for Valentine's Day this year, don't worry. Austin is full of great ways to spend the day with your sweetheart. Austin is rife with unique culture, art, diversity, and plenty of special events, activities, clubs, concerts and more. And of course you can find plenty of special packages at hotels and restaurants for a special evening. And you don't have to be in a romance to have fun. There's plenty of ways for people who are “single and want to mingle,” hanging with girls, or having a night out with the guys to have a great time. Here's a few of the best ways to enjoy Valentine's Day this year in Austin. This is for couples who want to have a weekend getaway. Even if you live in Austin, you can take a weekend getaway to various hotels offering special packages. Bedandbreakfast.com lets you choose from tons of sweet little inns to get away from the city. Visit BedandBreakfast.com to make romantic reservations for a sweet package for two. This is a great idea no matter if it's for a family, an outing with friends, date groups, or just the two of you. The 31 acres of greenery set among the Colorado River makes the perfect setting for a picnic of wine and cheese. Or you can dine at the Garden’s cafe. Best of all, these gardens are free to visit, saving more money for chocolates! What can be more romantic than taking a ride through downtown in a horse-drawn carriage? Die Gelbe Rose Carriage and Austin Carriage both offer great deals. This is also a great idea for the family, especially the kids. Bring some flowers and enjoy the ride! Climb aboard this special Hill Country Flyer or the Valentine's Day Dinner Train to celebrate Valentine’s Day. They will take you on a romantic ride through the Texas Hill Country, crossing the South San Gabriel River and Short Creek Canyon. During the two hour layover in Burnet you can enjoy lunch and shopping on your own, a leisurely stroll around the historic town square and the Wild West Gunfight (weather permitting). Adult-only cars and family friendly cars are available. Or take a ride on the Valentine’s Day dinner train and enjoy handcrafted premium wines from The Austin Winery at the three course wine pairing dinner. Want to learn more about what makes Austin and Lake Travis such a great place to live? Check back on our blog every week for more fun things to do in Austin!